This phenomenon is a result of interactions between our hypothalamus, our pituitary gland and our adrenal glands (the hypothalamic-pituitary-adrenal or HPA axis). The science that aims to explain how our psychological health affects our immune function, and therefore our physical health and resistance to disease is called psychoneuroimmunology. The field of psychoneuroimmunology research emerged after Ader and Cohen (1975) showed that the functioning of the immune system can be conditioned. Since then many fascinating studies have shown how various social and behavioural factors influencing the brain can contribute to health, illness, and even death. At first, it may appear extraordinary that our thoughts, ideas, beliefs and attitudes create physiological changes in our bodies. However, when we accept that everything in our bodies is linked, and consider the powerful mind-body connection, this concept starts to sound less magical and more logical. This means that we should be putting more emphasis on developing a nurturing mindset if our aim is to achieve optimal health, or even to stay free from disease. When it comes to emotions we all experience, some are more damaging to our health than others. Anger, aggression and hostility are extremely bad for our health. They have been shown to negatively affect the activity and number of lymphocytes (white blood cells) that protect us from immunological threats. Not surprisingly, prolonged stress, depression and bereavement have been found to be very damaging as well. Of course, negative emotions, chronic stress, and traumatic experiences, can be dealt with so they no longer have the same effect on our health. However, some people choose not to deal with those issues and that definitely makes them more susceptible to poor health outcomes. I think we all realise by now that the body does not just choose to attack itself! We are programmed for survival so the body will always try to the right thing, regenerate and heal. In autoimmunity the body also tries to do the right thing. In fact so much so, that in its “eagerness” it attacks healthy cells but it does that because it genuinely believes there is a threat that must be dealt with. This threat could be coming from a pathogen, toxic compound, an otherwise innocuous food, which is why addressing leaky gut, food allergies and toxicity will more often than not switch off that over-eager response. There is one more reason why people may feel under attack from their immune system and that is a toxic mind. In my experience of working with people with autoimmune disorders is that there ALWAYS is a psychological element contributing to their condition. Toxic mind sounds very broad and it is. Many things have to be considered and addressed, which is why I created a comprehensive 8-phase program dedicated solely to optimising the mindset to help people heal autoimmunity. How to develop a nurturing mindset? I believe that telling people to practice Mindfulness or go and do some meditation just is not enough. Do not get me wrong, I am a massive fan of those approaches and use them all the time but there is much more that makes up the “autoimmune mindset”. The psychological/emotional factors were massive for me in terms of helping me reverse Hashimoto’s thyroiditis, as well as recover from M.E., and I know they are massive for many people with autoimmunity. So what do I mean when I talk about developing a nurturing mindset? First, we have to start with awareness. This is awareness and analysis of self, our interactions with the world, what motivates us to be healthy, language we use in relation to our health and ourselves, and our ability to transform our health when the right approach is taken. Then we need to look at: conflicting values, identity issues, limiting beliefs and behaviours, self-worth, and any potential secondary gain. It is very important to address any emotional trauma, e.g. losing a loved one, being bitten by a dog, not getting enough affection in childhood. Finally, we need to assess ability to deal with life stressors and build neurological resilience to stress. There are many tools and modalities that can help with optimising the mindset for healing. 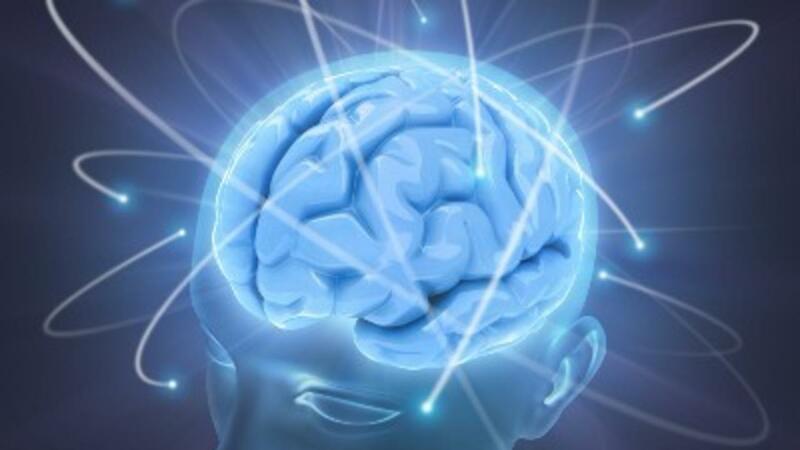 Some of the most effective modalities and tools that I use, include: BrainWorking Recursive Therapy®, Havening TechniquesTM (Amygdala Depotentiation Techniques), BroadBand for the Brain, psychoanalysis, hypnotherapy, NLP, Dialectical Behavioural Therapy, Mindfulness, and applied psychoneuroimmunology. There are of course other great tools so I would encourage you to research them and see how they may help you. So in summary, when mismanaged, our mind can make us sick. Equally we have the power to use it to make ourselves well. We can choose in which direction we want to go and yes, it is entirely our choice. If you have an autoimmune disease and would like a personalised approach to optimising your mindset, check out my PsychoHealthology Programme. Ader R & Cohen N (1975) Behaviorally conditioned immunosuppression. Psychosom Med;.37: 333-340. Granger DA, Booth A & Johnson DR (2000) Human aggression and enumerative measures of immunity. Psychosom Med. 62: 583–590. Keller SE et al. (2000) Stress, Depression, Immunity, and Health. In Goodkin K & Visser AP (eds): Psychoneuroimmunology: Stress Mental Disorders and Health, 1-26. American Psychiatric Press. Rossi, EL (1994) The Psychobiology of Mind-Body Healing. New Concepts of Therapeutic Hypnosis. W.W. Norton & Co., New York. Lipton, B (2005) The Biology of Belief. Hay House Inc.